Whew! 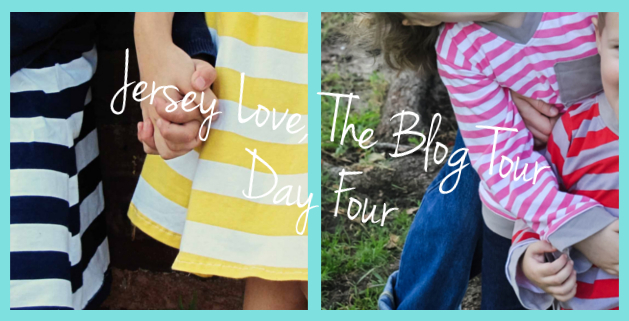 It’s hard to believe that the Jersey Love Blog Tour is over already! 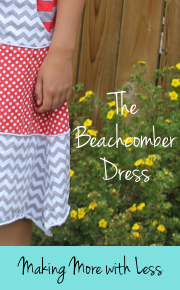 I had a blast seeing all the Beachcomber Dresses, Downtown V-Necks, Carnival Skorts and Runaround Pants sewn by this collection of talented sewing bloggers in those amazing Riley Blake Jersey Basics. If you missed any of them along the way, be sure to click on the photo below and go take a peek! 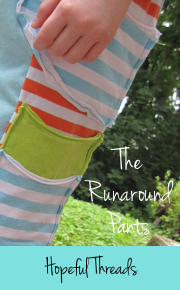 Laura is a long-time online friend who I met while sewing cloth diapers for my now 6-year-old. 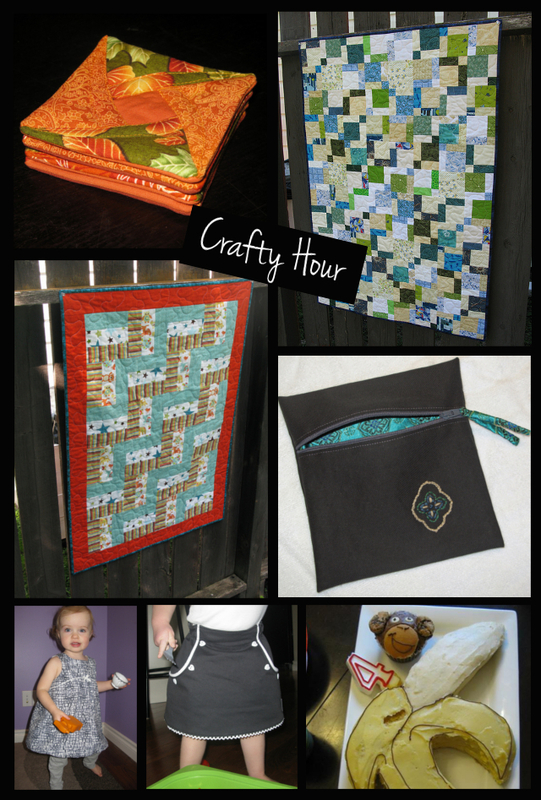 Laura’s blog, Crafty Hour, is only about a year old, and she’s doing amazing things with it! Laura makes beautiful quilts, like this Flannel Rail Fence Quilt and this Disappearing Nine Patch (a collaboration with several other quilters), both sewn as donations for her local Pregnancy Care Centre. Laura sews the sweetest outfits, like this Bubble Dress and this Piped Pocket Skirt, for her two-year-old daughter, Abigail. 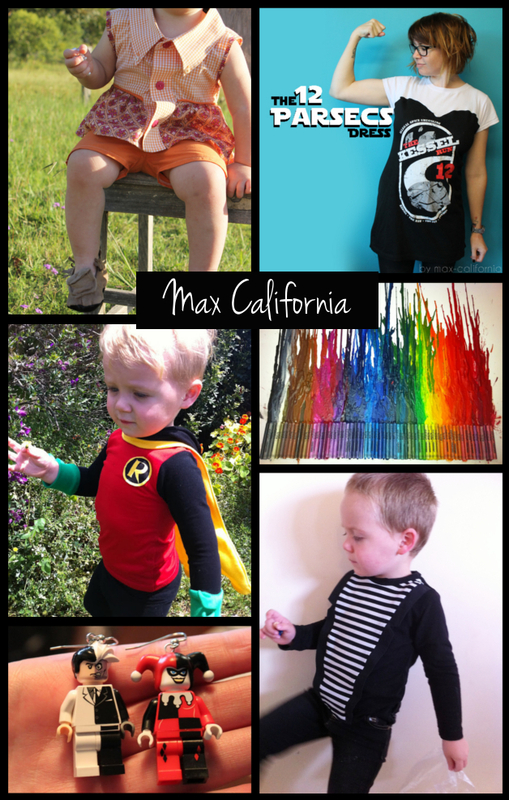 She also shares some brilliant ideas for fun kid stuff — be sure to check out the Curious Benjamin Birthday Party. And, Laura’s building a collection of great tutorials which include these very cool Quick Quilted Coasters and this Lined Zipper Pouch. 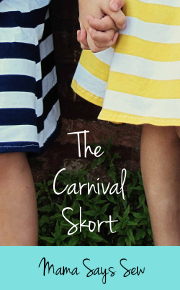 For the blog tour, Laura sewed a Beachcomber Dress and a Carnival Skort! To see both of them, just click on the sneak peek picture. Welcome back to the second week of the Jersey Love Blog Tour! 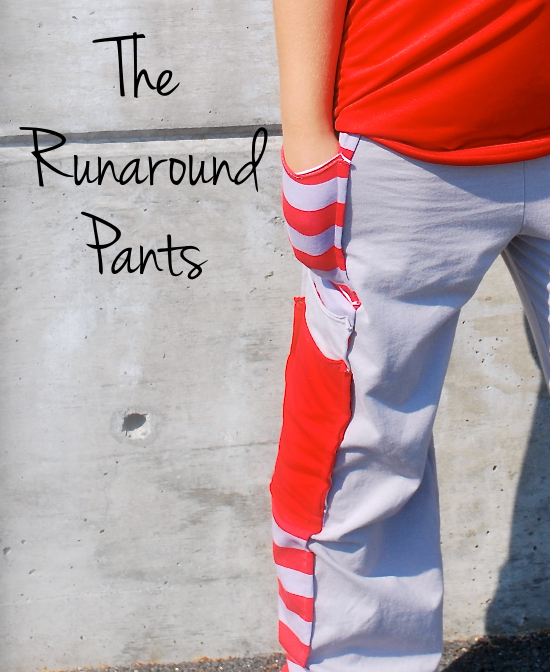 Kristy from Hopeful Threads and Vanessa from Designs by Sessa are up today with a pair of Runaround Pants and a Beachcomber Dress both sewn with those amazing Riley Blake Jersey Basics. Kristy from Hopeful Threads is not only an incredibly talented seamstress, but she’s one of the most generous people I know. 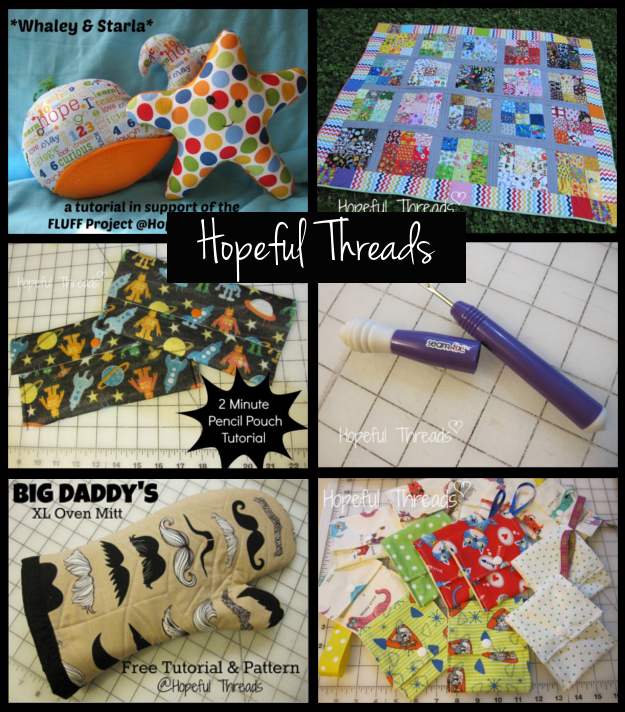 Each month, Kristy runs a special project that encourages sewists from around the world to sew and give to various charities. This month, she’s collecting Pencil Pouches for the children of the Pine Ridge Reservation. 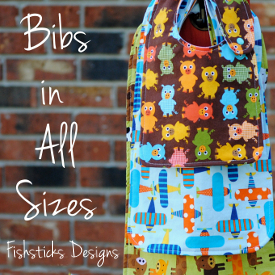 Her blog is packed full of fun and practical tutorials like the 2-minute Pencil Pouch (perfect for this month’s project), Big Daddy’s X-Large Oven Mitt, Whaley & Starla Stuffed Friends and the Pet Treat Pouch. 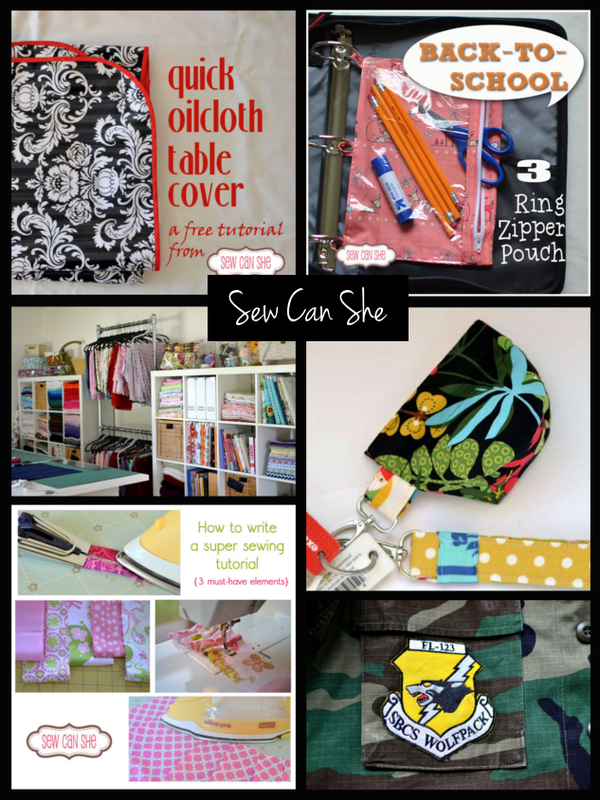 I absolutely love Kristy’s Sewing Essentials Series that she uses to share her favorite indispensable sewing tools. I keep finding new things that I simple must try! Kristy also shares many of the projects that she completes for her own family, too, like this adorable I-Spy Quilt. Can you believe that it was her first ever completed quilt?! 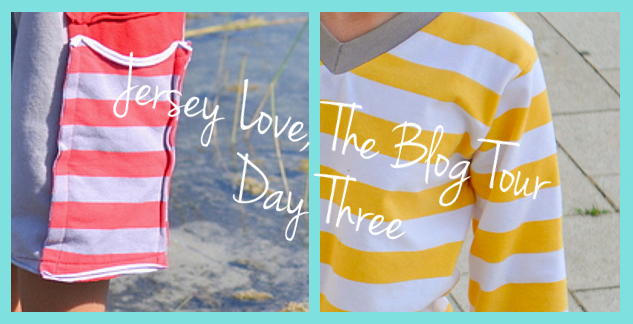 For the Jersey Love Blog Tour, Kristy sewed an adorable (and comfy!) 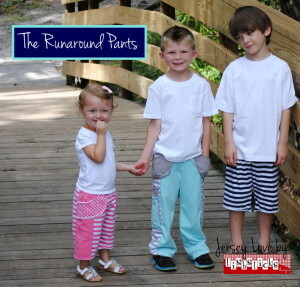 pair of Runaround Pants for one of her little guys. 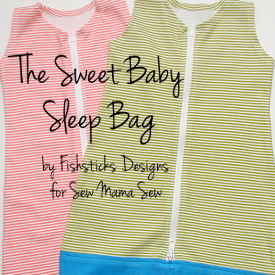 You can check them out by clicking on this sneak peek picture: Vanessa shares her beautiful sewing along with peeks into her busy life as mom and foster mom on her blog, Designs by Sessa. 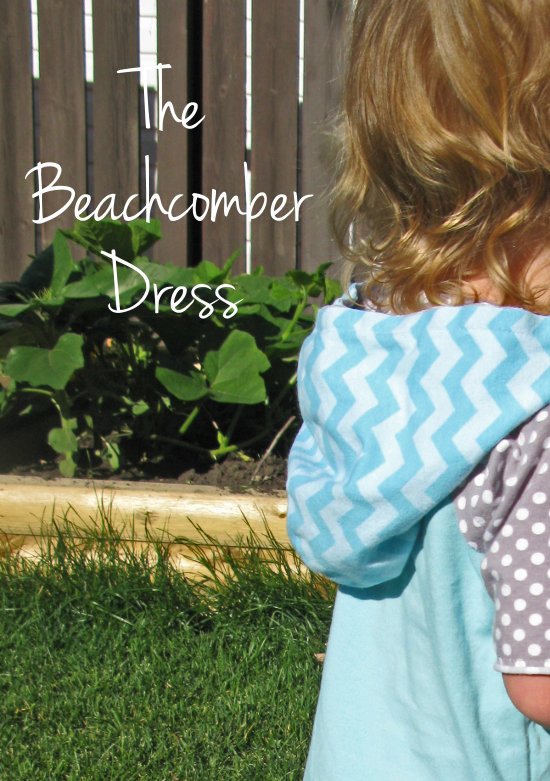 She sews the cutest clothes for herself, like her Monogrammed Seafarer Top and this Women’s Rash Guard (complete with tutorial!). 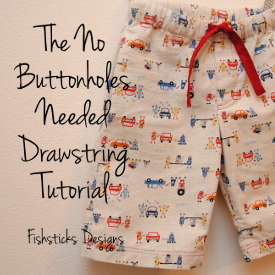 Vanessa shares all sorts of sewing tutorials on her blog! 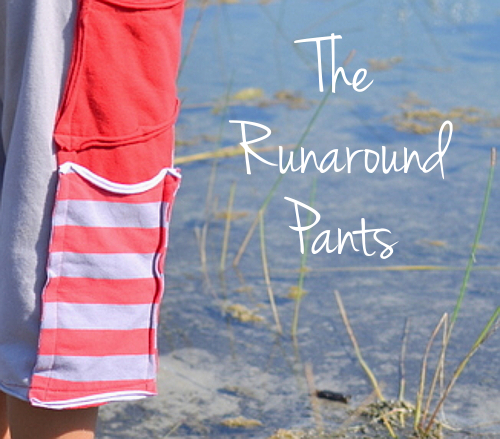 I love this Chevron Applique Skirt — so sweet and so simple. 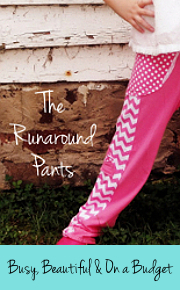 And, these Vintage Sheet Mommy – Daughter PJ Pants? How can you resist such cuteness? 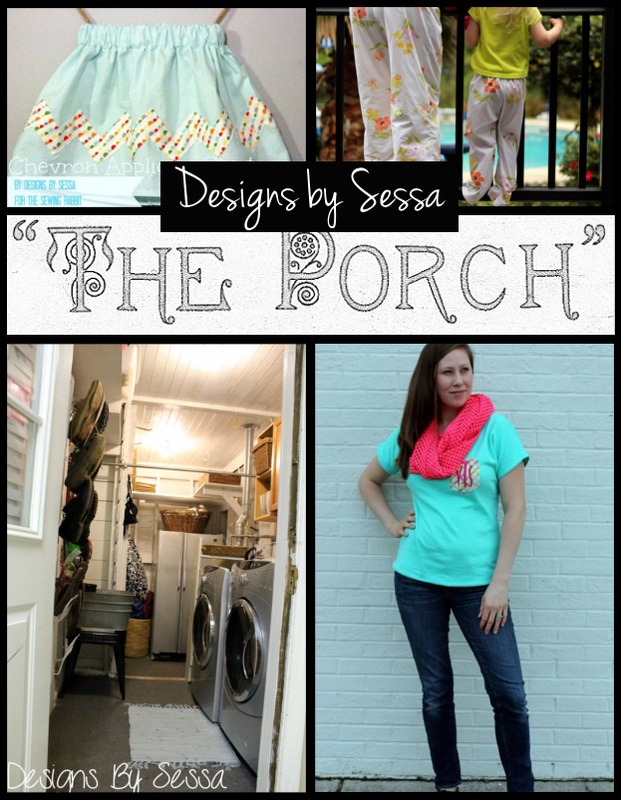 I think my favorite thing on the Designs by Sessa blog, though, is The Porch Series. Vanessa invites talented sewing bloggers from all over to share a little bit of insight into who they are via conversations on the porch. You really have to go check it out! 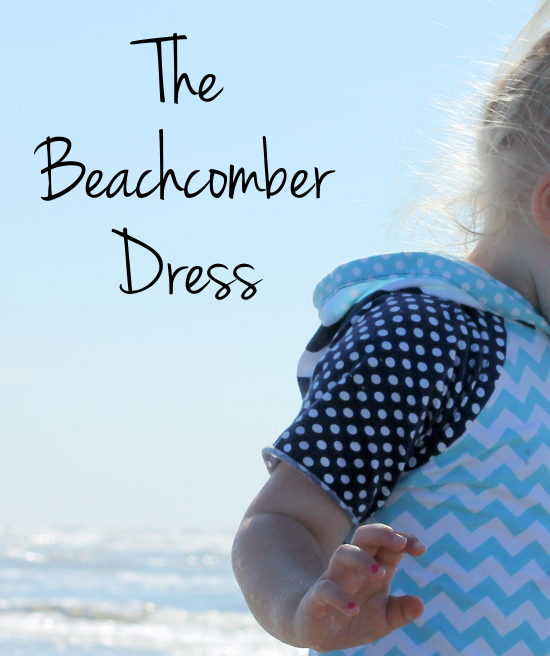 For her stop on the blog tour, Vanessa sewed up a Beachcomber Dress for her niece, and she even took pictures at the beach! To see how sweet it is, just click on the sneak peek picture below. 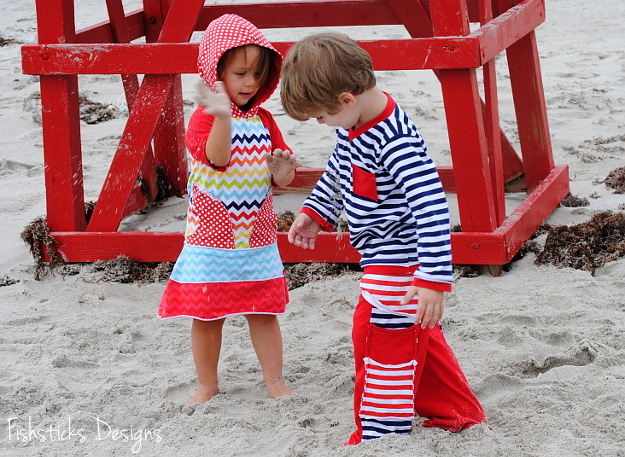 Day four of the Jersey Love Blog Tour has arrived, and I am so excited that we have two sibling groups modeling Jersey Love patterns sewn with Riley Blake Jersey Basics today! 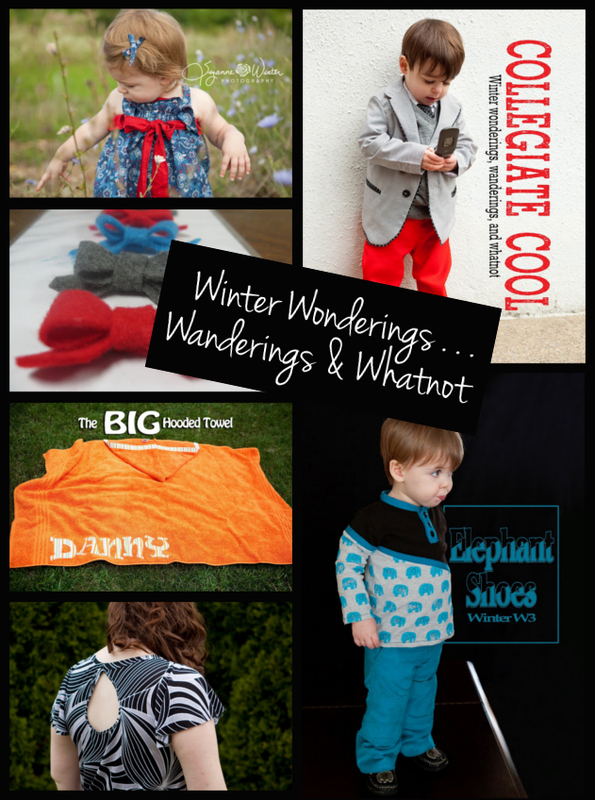 Ready to check out what Leigh at Rooibos Mom and Terra at Mama Says Sew created for the tour? 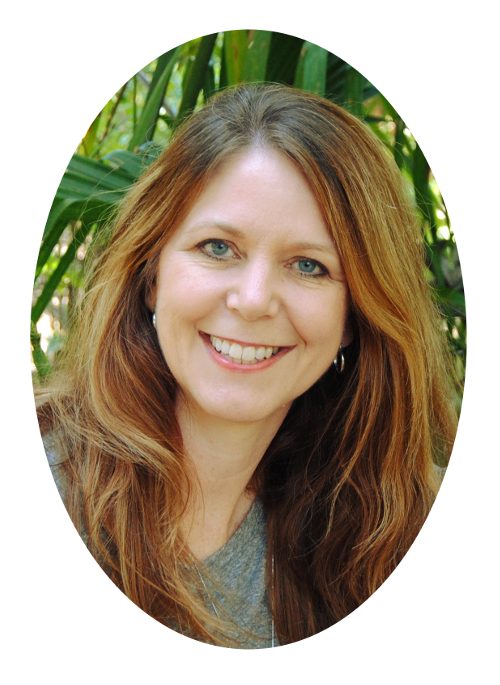 Many of you already know Leigh as my amazing virtual assistant. I can’t imagine how I’d make it without her! Leigh has her own blog, too, though! She shares her adventures in urban farming, raising kids and creating at Rooibos Mom. 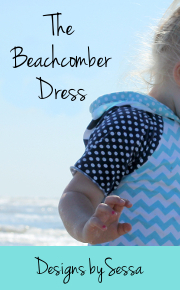 Leigh sews beautiful, feminine outfits for her daughter, like this sweet Lazy Susan Dress, and adorable, but very boyish clothing for her two boys, like these Boxer Brief & Tank Sets. Leigh is a talented seamstress, but her woodworking skills are just as impressive! She and her husband raise chickens for eggs in their backyard, and together they built this incredible (and oh-so-pretty) Handmade Chicken Coop. Early this year, the two of them built this Birthday Bunkbed Set for their two oldest, too! Leigh is great about mixing in real-life stories that are sure to make you laugh. Preteen Jammies and Freshly Licked Walls is my current favorite! 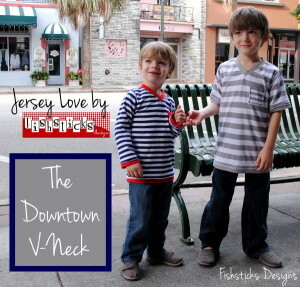 For her stop on the Jersey Love Blog Tour, Leigh sewed three Downtown V-Necks, one for each of her littles. 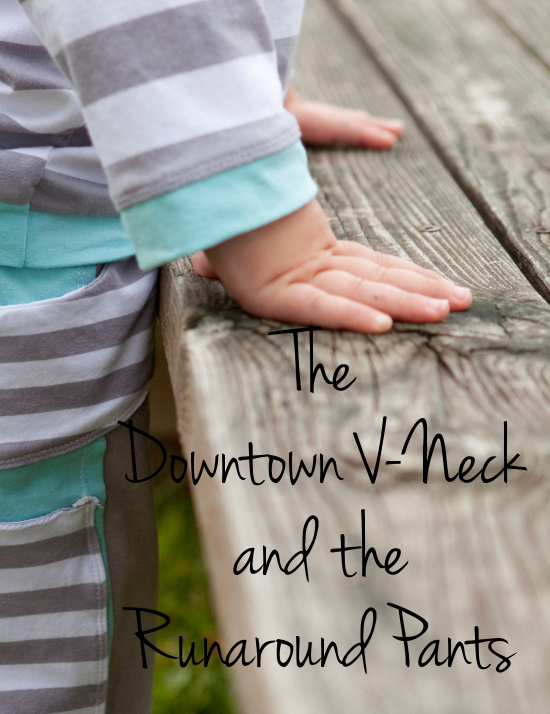 Go check out the cuteness by clicking on the picture below. 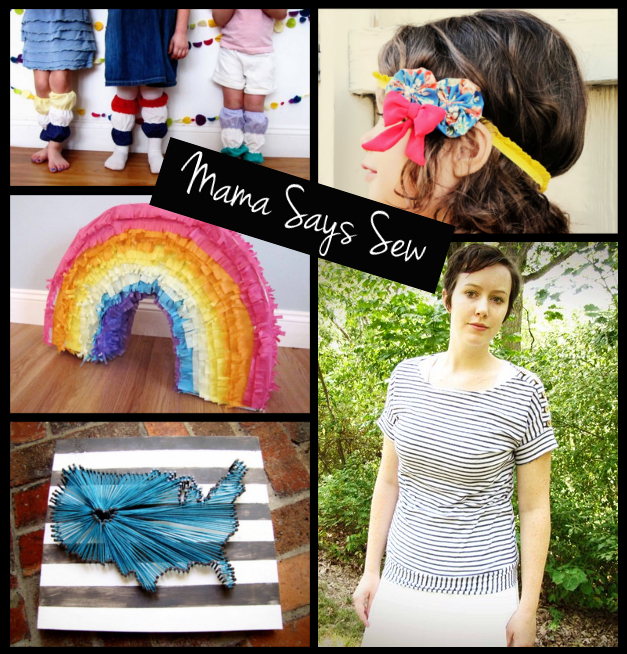 Terra from Mama Says Sew is a multi-talented crafter, too! 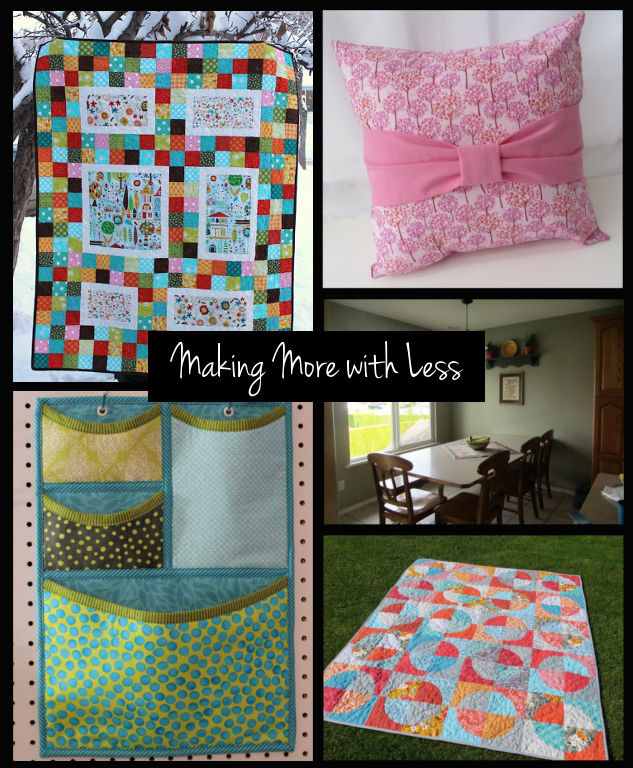 Her blog is full of inspiring sewing projects, decorating ideas, party suggestions and tons of tutorials. In fact, it’s not often that Terra shares anything that she creates on her own without sharing how she did it! Check out her Color Blocked Leg Warmers tutorial for adorable little girl legwear, and her Vintage Headband Tutorial for the sweetest headwear ever. There are great mama-fashions, too! I love this dolman-sleeve Set Sail Top! 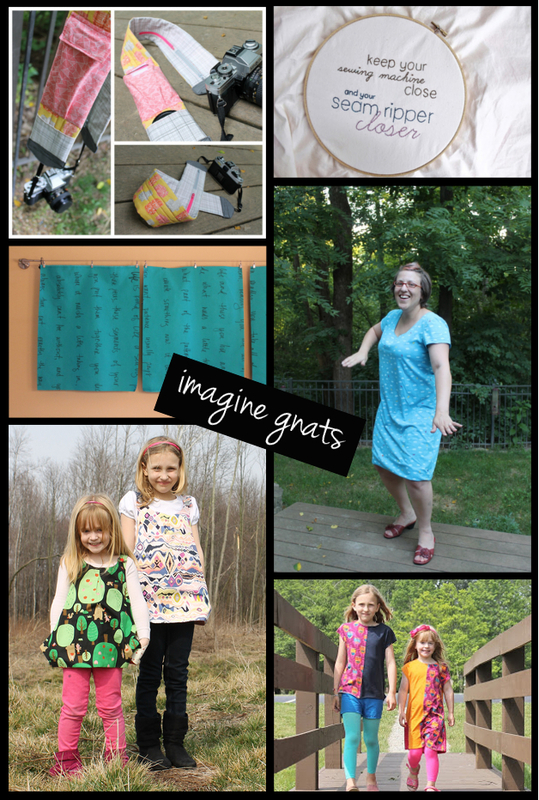 Need a great birthday party project? How about a handmade Rainbow Pinata? And, for the perfect finishing touch to your family room, this I Heart My Town Map is sure to impress all your visitors! 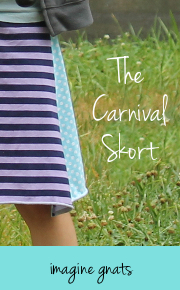 Terra made coordinating Carnival Skorts for her girls, and they are so sweet! To see more of them, just click on the sneak peek picture below. 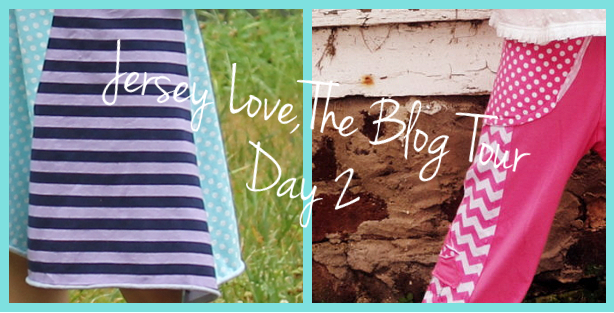 It’s Day Three of the Jersey Love Blog Tour and two more amazing bloggers are sharing Jersey Love patterns sewn with Riley Blake Jersey Basics. Up today are Sarah from Blue Susan Makes and Scary from The Shaffer Sisters! 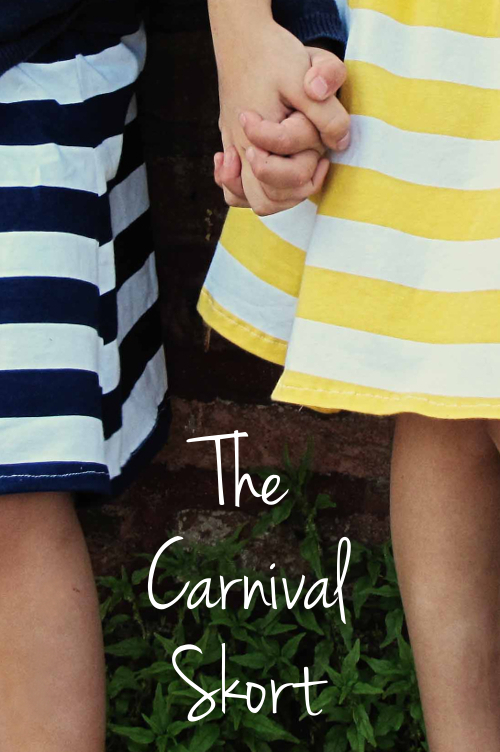 The Blue Susan Makes blog is packed full of creative inspiration from my friend and neighbor, Sarah! She has a lovely selection of sewing tutorials including this gorgeous Bursting Heart Toss Pillow and this stylish Girlfriend Clutch. 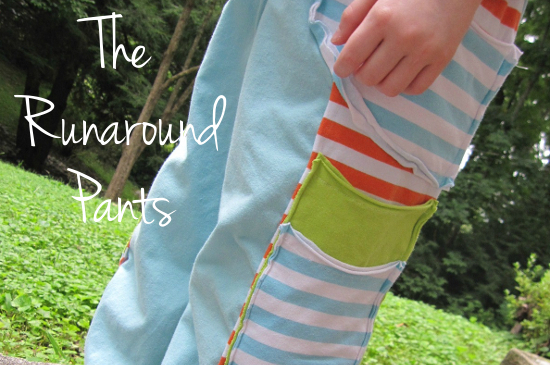 Sarah shares great sewing tips, too — you have to check out her genius tips for Pattern Cutting! If you have a superhero-loving little one, you’ll love reading about the Superhero Training Academy Birthday Party that she threw for her son this year, including ideas for invitations, decorations, games and food! 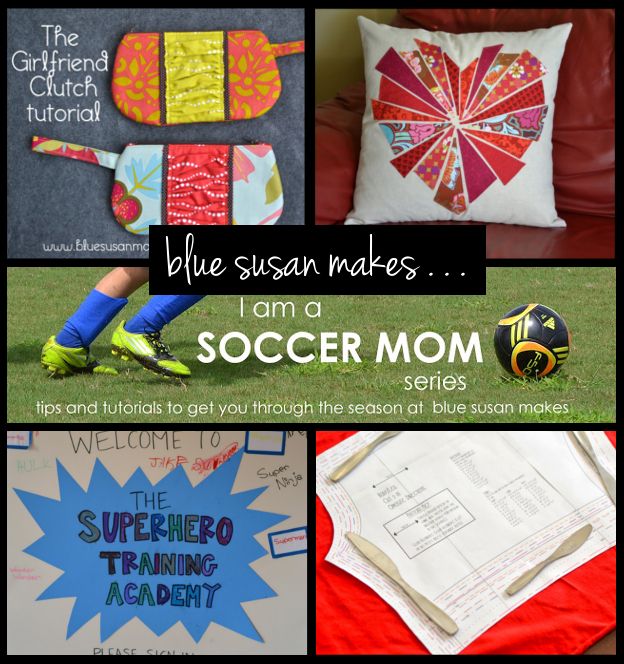 One of my favorite things on Sarah’s blog is the series she did late this spring called I Am a Soccer Mom! 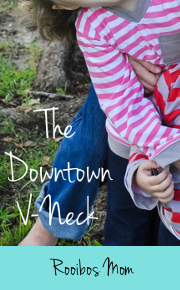 I happen to be a football and track mom, but Sarah’s ideas and tips are perfect for surviving and enjoying all sorts of kids sports. 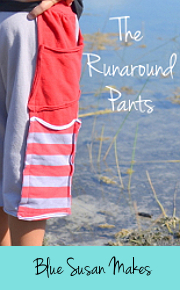 Sarah sewed Runaround Shorts for her son, Jack. 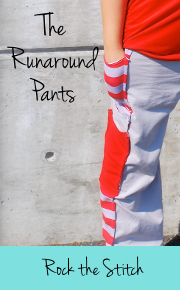 Just click on the preview picture below to see how cool and comfy they are! 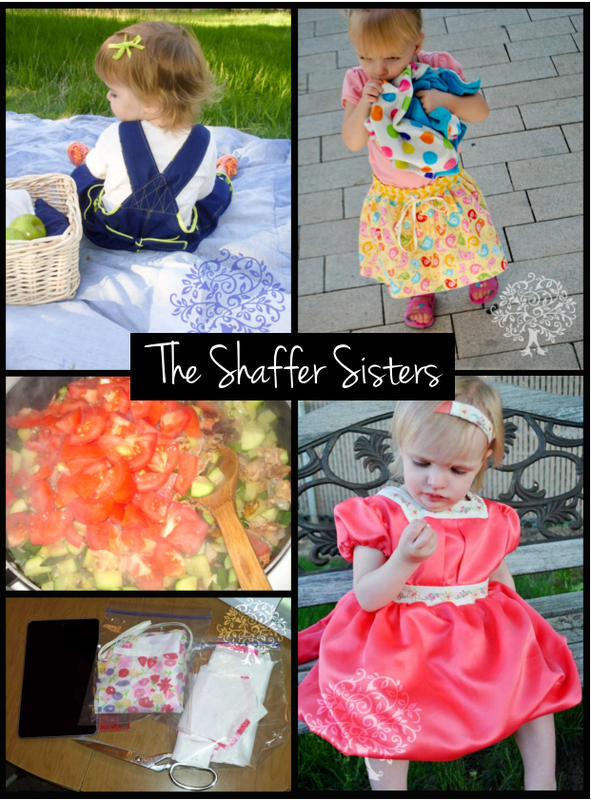 The Shaffer Sisters, Al, Jo and Scary, all blog together, and they’re a trio that is inspirational in all areas from family to faith to creativity. 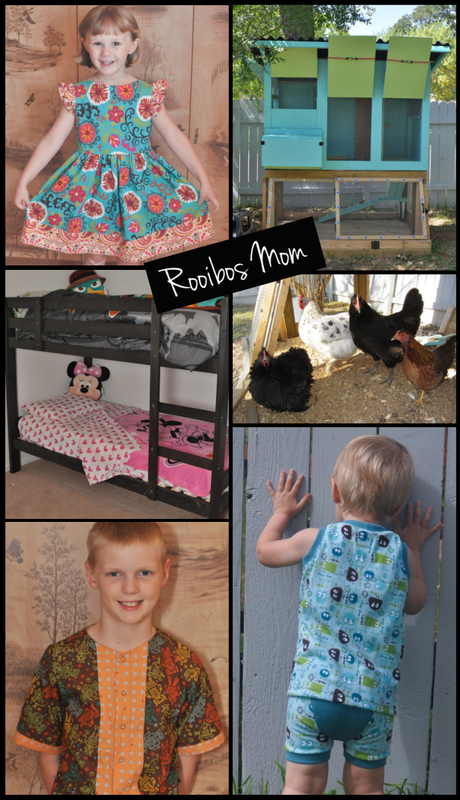 Their blog is bursting with practical, budget friendly sewing ideas like Boston’s Miniature Minky Blanket and Rogue’s Bold on a Budget Overalls. The sisters share tasty recipes like this Fresh, Light Pasta Dinner that I can’t wait to try! (Have to put bacon on my shopping list.) 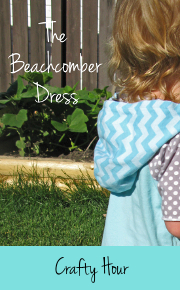 One of my favorite things on the Shaffer Sisters blog right now is Scary’s Beginner’s Guide to Pattern Testing. If you’ve ever considered joining a pattern-testing team, you should definitely check it out! 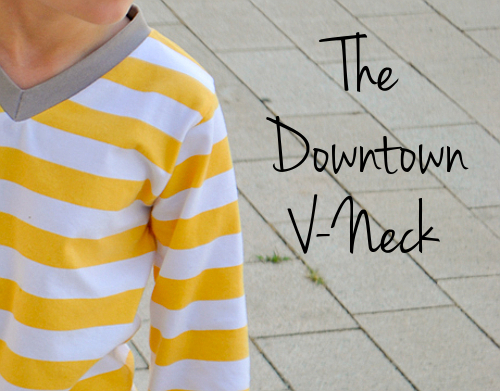 Scary sewed the cutest preppy Downtown V-Neck for her son, Ryder! To see it, simply click on the picture below. 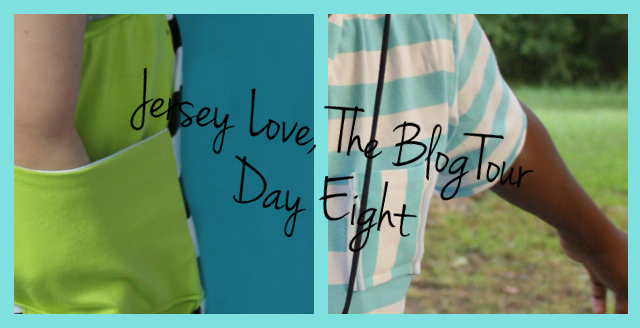 Day two of the Jersey Love Blog Tour is here! 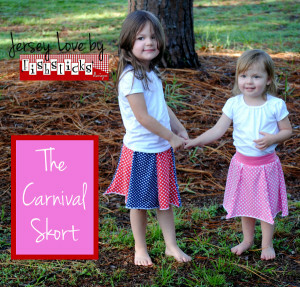 Today, Rachael from imagine gnats and Caroline from Busy, Beautiful and on a Budget are ready to share adorable and comfortable clothes sewn with Riley Blake Designs’ Jersey Basics and my Jersey Love patterns! Rachael from imagine gnats is incredibly talented and so much fun! (And, the sweetest ever — I have loads of pictures to show you next Monday that she took for me at Spring Quilt Market!) I love that her girls always seem to be having as much fun as she is! Rachael sews everything you could imagine from clothes for her girls and herself (Don’t you love her Lady Skater Dress, complete with skating pose?) to beautiful hand-embroidered wall-hangings (Be sure to check out her free Sewing Sayings embroidery pattern!) to practical, but pretty accessories (I hope I can find time to sew her Cammy Pack before Fall Market!). 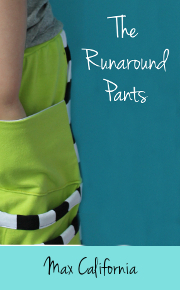 Rachael has two patterns of her own now, the Roly Poly Pinafore and the Tumble Tee, and a third one coming soon! 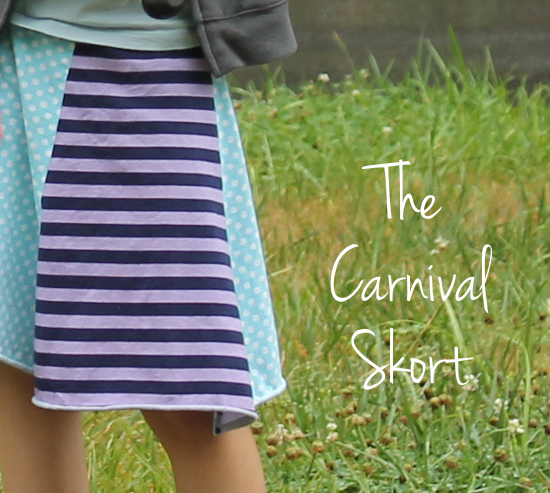 For the blog tour, Rachael sewed a Carnival Skort for her oldest daughter. 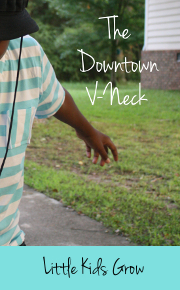 Go check it out by clicking on the sneak peek picture below! I have known Caroline, the incredibly creative blogger from Busy, Beautiful and on a Budget, for years. (We met on an online sewing board for moms who sew cloth diapers. Pretty cool, huh?) I love that she shares such a wide variety of clever tips and tutorials on her blog that are fun, simple and practical. 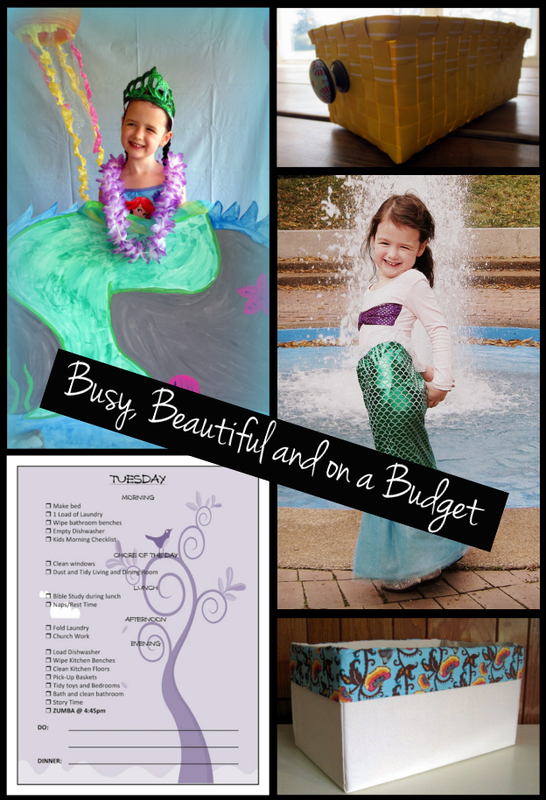 She has sewing tutorials like this adorable Mermaid Costume, storage ideas like Turning an Old Box into Beautiful Storage, organization ideas like her Housekeeping Binder, and party decor like this great Mermaid Party Photo Prop! 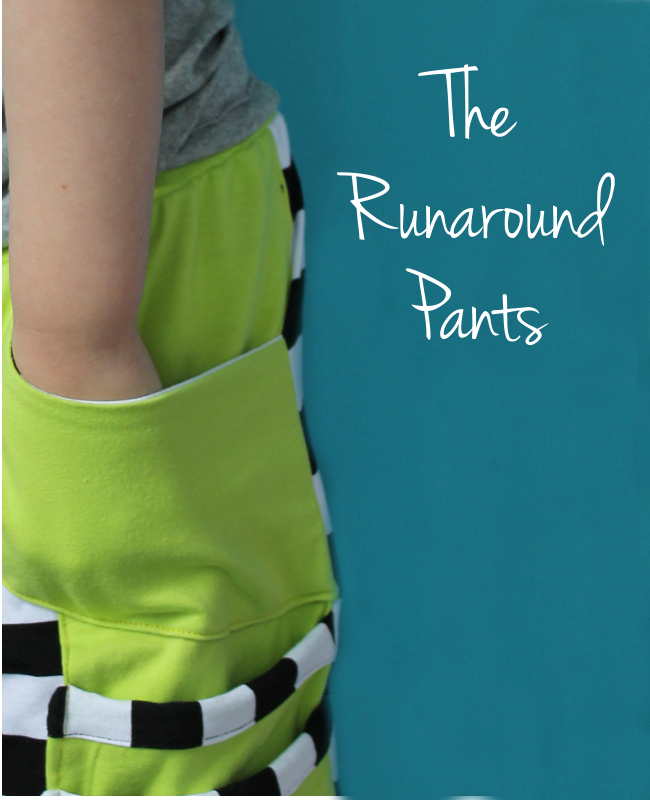 Caroline sewed a pair of Runaround Pants for her oldest daughter. 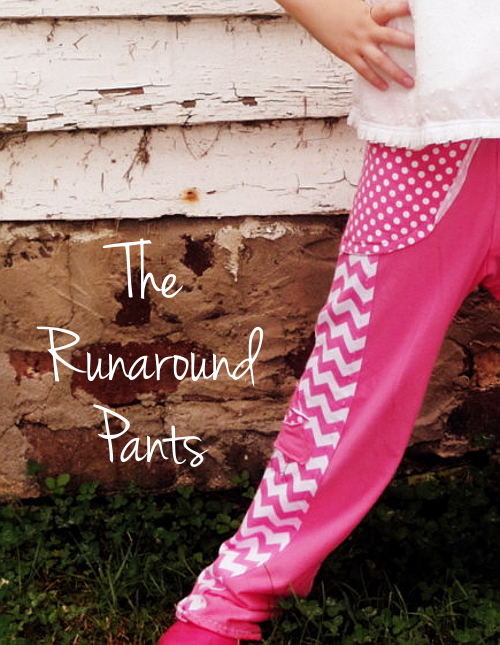 You’ll want to hop over to her blog and see how cute they are! Just click on the photo below. 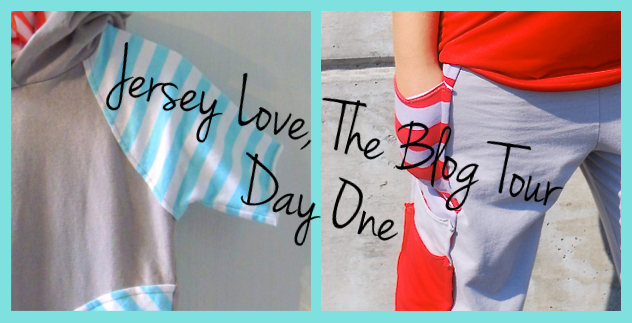 It’s Day One of the Jersey Love Blog Tour! Are you ready to see what these ladies have been sewing with Riley Blake Designs’ Jersey Basics and my Jersey Love patterns? I can’t wait! Our first two tour stops are at Call Ajaire and Rock the Stitch! Ajaire sews the sweetest outfits for her 2-year-old daughter, Bean. Seriously. 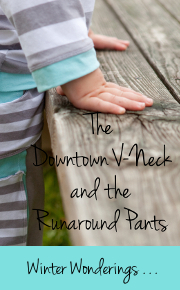 Her pictures make me want to sew a whole wardrobe for our 2-year-old granddaughter, Katie. 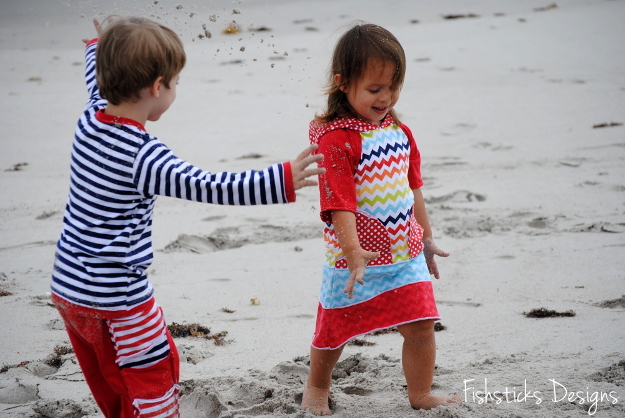 Ajaire does amazing things with fabric, too — like the Lattice Smocking on Bean’s Birthday Dress and the multi-directional pleats on her Emily Carr Inspired Dress, and she shares how she did it on her blog! My current favorite project from Ajaire, though, is one she did for herself! 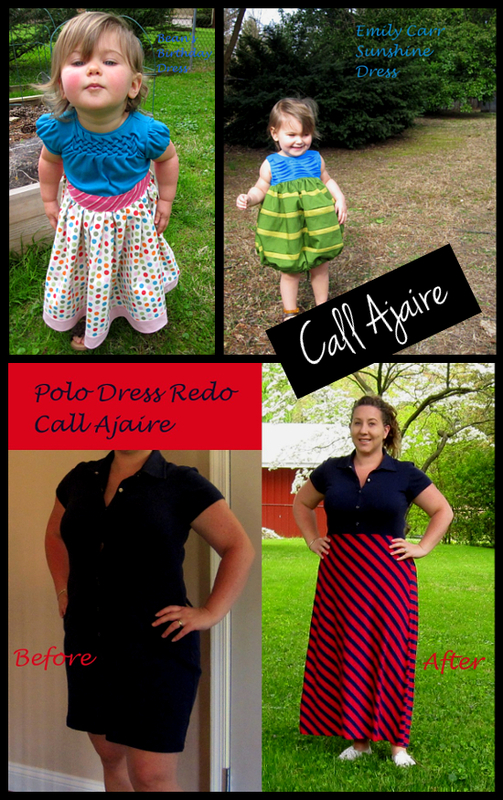 Have you seen the Polo Dress Re-do that she shared during Make for Mom in May? I love it! 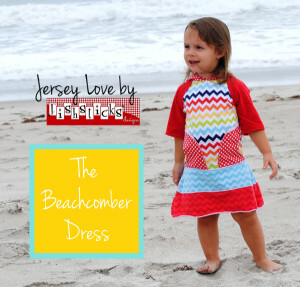 For the Jersey Love Tour, Ajaire sewed Bean a Beachcomber Dress! You can check it out by clicking the picture below! 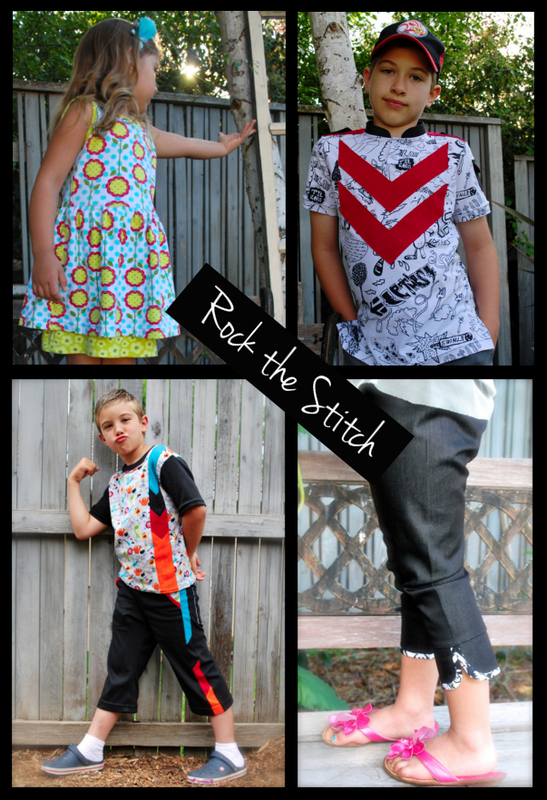 Rebecca from Rock the Stitch is a master at sewing stylish, modern clothing for her sons and her daughter! 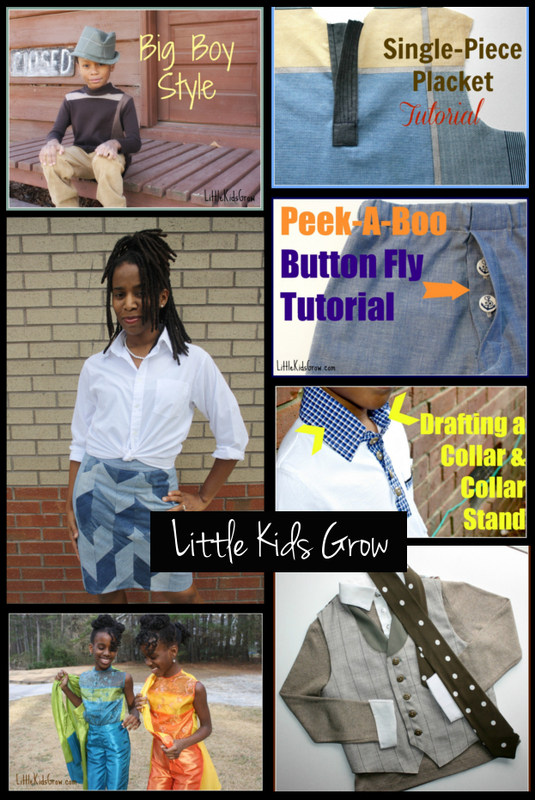 The outfits that she makes for her daughter are amazing, and I am in awe of the things she sews for her sons. 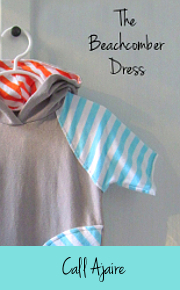 Rebecca shares some great tutorials on her blog for modifying any pattern you might have on hand to give it that perfect finishing touch. 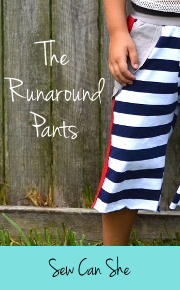 For your boys, you can learn how to add a Chevron Stripe to an otherwise plain tee pattern or turn basic shorts into Hip Boardshorts. 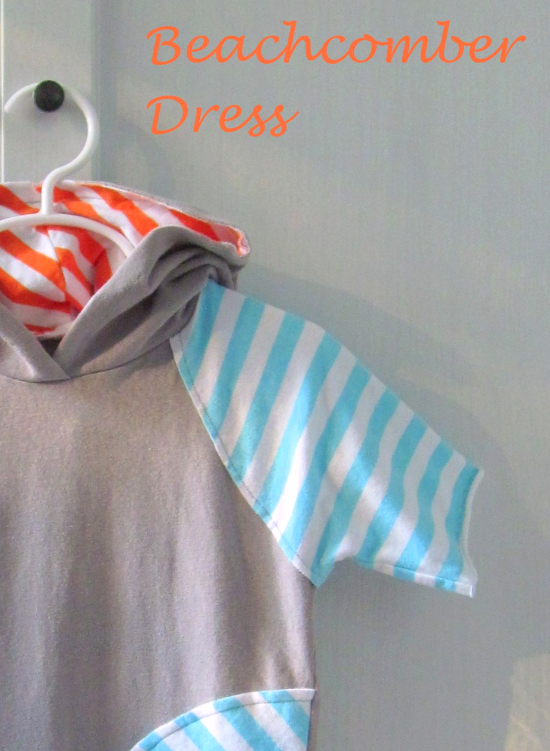 For your girls, you have to check out her guide to adding a Self-Bound Petal Cuff to capri pants and her free Peep Hem Dress Pattern! 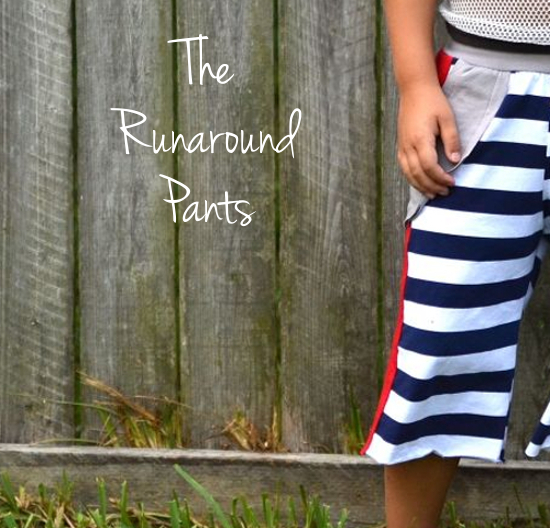 For the Jersey Love Tour, Rebecca sewed a pair of Runaround Pants for her oldest son. 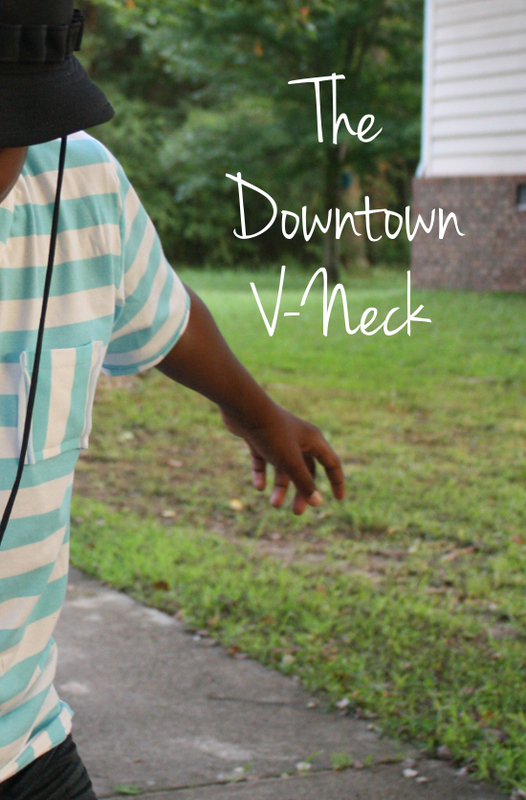 Go check them out on her blog right now by clicking the picture below! 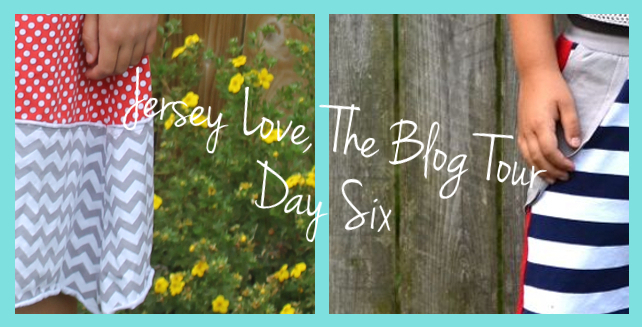 The Jersey Love Blog Tour Kick-Off! Guess what starts tomorrow morning?! 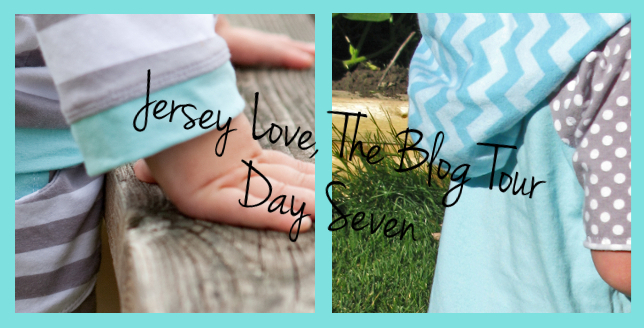 The Jersey Love Blog Tour, that’s what! I am so excited about this group of sixteen amazing sewing bloggers who agreed to host the tour over the next two weeks! 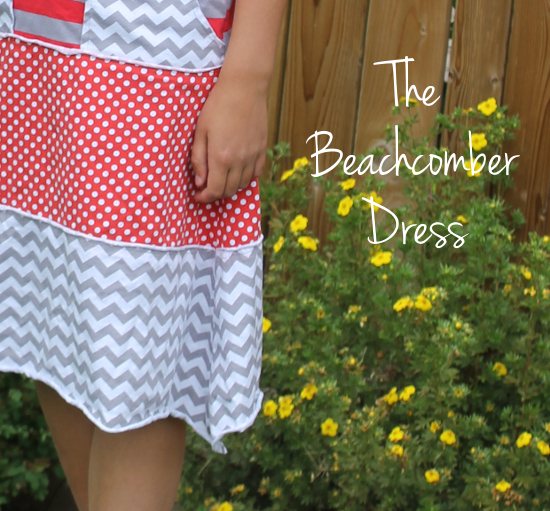 Each blogger chose a pattern from the first four patterns in my new Jersey Love series to sew and review, AND they each got to choose fabrics from Riley Blake Designs’ new Jersey Basics line to use for their projects! Huge, huge thanks to Riley Blake Designs for sponsoring this tour by providing fabric to all of the bloggers! 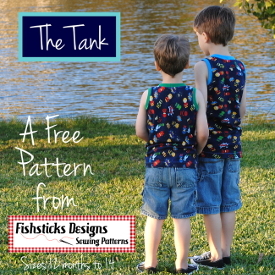 My goal with this series of patterns is to get all of you sewing these great designer cotton/spandex stretch jerseys. 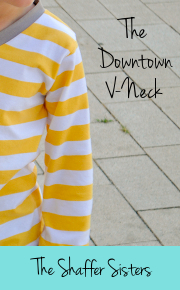 While they may seem intimidating at first because they stretch and roll, with a little bit of guidance and a pattern that uses those things to its advantage, I think you’ll fall in love with sewing them! 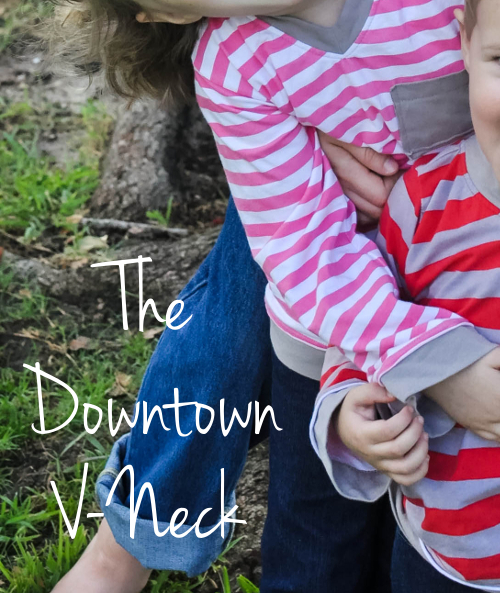 Your little ones are definitely going to love wearing them. They’re so comfy. They totally let kids be kids!